Cervical foraminal stenosis occurs in the spine at the neck, and is a narrowing of the portion of the vertebrae that allows the spinal nerves to leave the spinal column. The constricted opening often causes nerves to be pinched and results in pain, numbness and tingling that is felt in the neck, shoulders and down the arms to the fingers. Problems usually appear gradually and may be exacerbated by different activities and neck positions. If you have been diagnosed with cervical foraminal stenosis, board-certified spine physicians can offer a number of different treatment options according to the severity of your symptoms. Pain pills, oral steroids and muscle relaxants may be prescribed for patients with cervical foraminal stenosis. 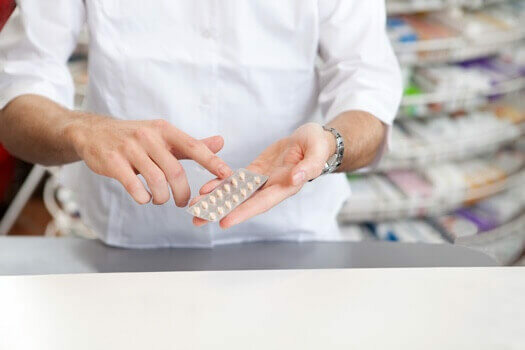 Unlike other spinal conditions that often respond well after medical treatment, this condition does not often show much improvement with medications. Traction is a method of stretching the spinal column that may help reduce pain for some people. It is usually performed by physical therapists or chiropractors who use their hands to widen the spaces between the patient’s vertebrae. Traction can also be applied by using a mechanical table that is operated by a medical professional who adjusts the settings to apply the correct amount of traction for a specific patient. The goal for individuals who undergo physical therapy treatments for cervical foraminal stenosis is to strengthen and increase the flexibility of the muscles in the neck and back. The conditioned muscles provide better support to the cervical area and may help alleviate pain and other symptoms. Surgery to correct cervical foraminal stenosis usually includes discectomy and possibly fusion that involves the removal of the vertebral disc in order to make more room for the nerve roots and thereby relieve compression. The exposed area is most often supported with a bone graft that helps keep the space open and provides support. If you are interested in non-surgical treatment options or are seeking surgical intervention for cervical foraminal stenosis, reach out to The Spine Institute Center for Spinal Restoration at 310-828-7757 and request an in-person consultation. Dr. Bae and his team of spinal specialists provide conservative treatments, as well as spine surgery in Santa Monica and can help you return to a pain-free lifestyle.